WHY INVEST IN AGRICULTURAL PROPERTY? By syndicating direct investments in managed agricultural farmland, we provide access to professionally managed agricultural properties previously only available to institutional investors. Farmland has low or zero correlation to financial markets. Traditionally, agricultural farmland investments are largely isolated from external events like Federal Reserve Bank actions, domestic political turmoil, global conflict, debt defaults, banking crisis, and volatile equity market swings which may significantly impact the value and return of the debt and equity portions of your portfolio. The opportunity for income and capital growth is supported by solid macro fundamentals and the individual strengths of each project. Our sponsored LLC’s are straightforward, secured investments which directly own the underlying tangible assets – the real estate and all attached property. 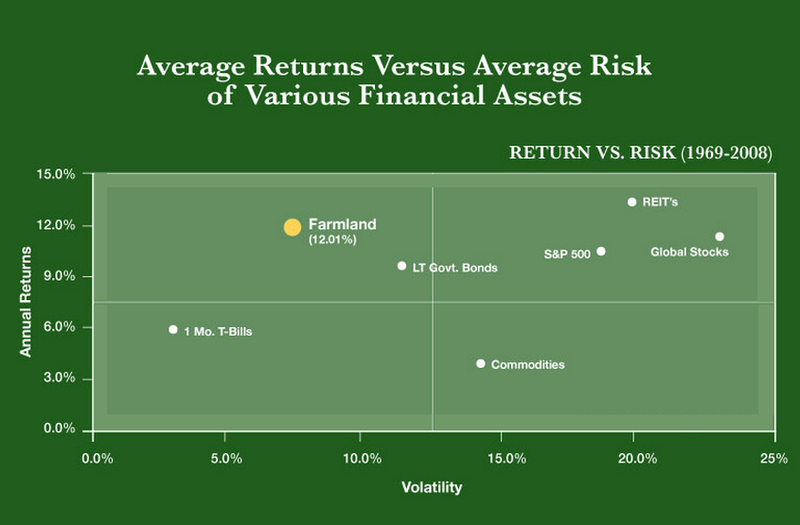 Farmland’s risk adjusted return is superior to that of other widely held asset classes. 225,000 daily global population growth. With a rapidly growing global middle-class and changing dietary needs, food demand is expected to grow 70-100% by 2050*. Global biofuel demand is estimated to grow 110% by the year 2021* – there’s a need to develop biofuel feedstocks that do not compete for land use with food crops. 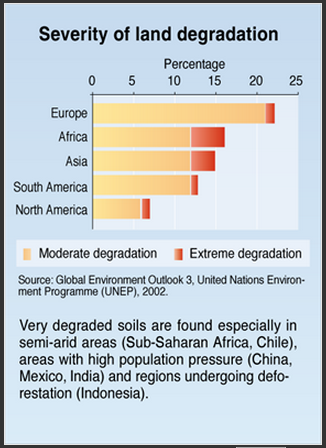 18 million hectares of farmland lost to urbanization in China alone from 1979-2000.
iFarm Shares © 2019. All Rights Reserved.